Wanchese Shrimp are wild caught in the Pamlico Sound of North Carolina. 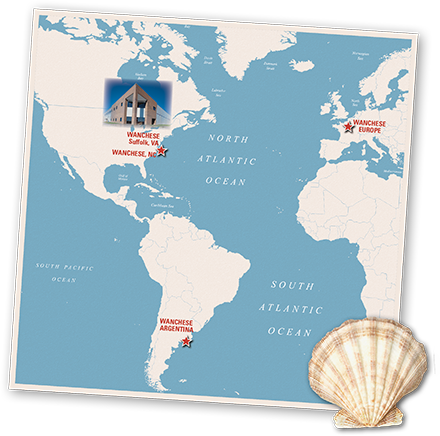 This is the farthest north that any warm water shrimp can be found on the East Coast. In this 100 square mile area, the fresh water from the rivers and salt water from the Atlantic mix together to produce brackish water. 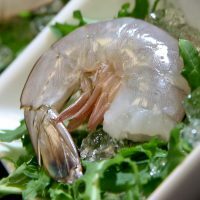 It is the unique water that gives the shrimp a sweet taste and firmer bite setting them apart from other wild and farm raised shrimp on the market today. 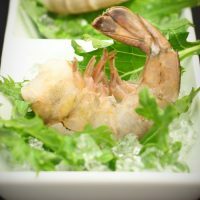 Available fresh in season and frozen, Wanchese shrimp come in an impressive range of sizes to suit every appetite and occasion. They are easy to prepare and can be baked, broiled, grilled, sautéed, or fried to fit a wide variety of menu applications. Simply grill, broil or bake to perfection. 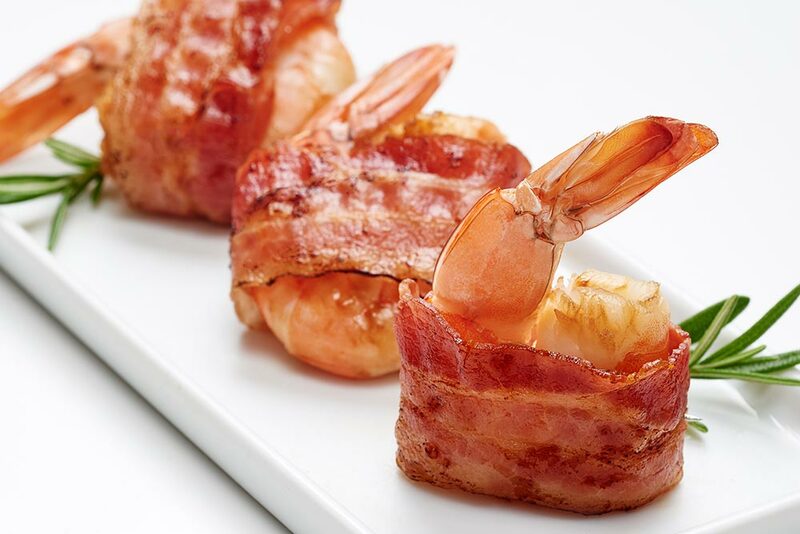 Wanchese Shrimp wrapped in bacon are a great way to win over your guests. 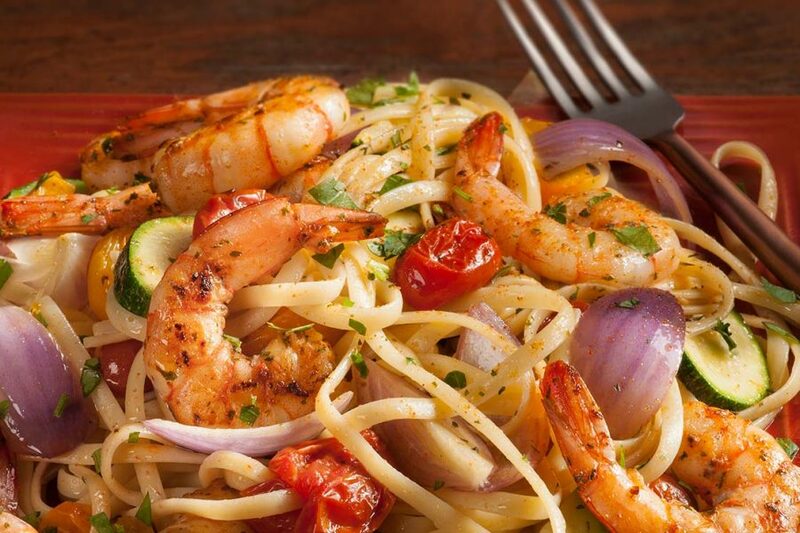 A well known crowd pleaser, this combination gives you the sweet succulent flavor of the shrimp with the salty taste of the premium cured bacon. They are quick and easy to prepare and make an excellent appetizer or addition to any entrée.